Check out our upcoming events for Cancer Month this April! April is Cancer Month and we at InspireHealth are once again partnering with Choices Markets to provide public education highlighting the area of cancer prevention. Despite major investment in research, better screening and cancer treatment, deaths from cancer have not been significantly reduced in the last 30 years. Cancer has become the leading cause of death in every province in Canada for the first time. It is time for change – to focus on prevention as opposed to the disease and to embrace a whole person approach to cancer. We have been working hard with the Nutrition Team at Choices to develop “Inspired Choices” – a selection of natural superfoods and supplements that are simple and effective nutritional choices to prevent cancer and aid in recovery. During the month of April, stop by any Choices Market and pick up some of these items – distinguished by an InspireHealth dangler sign on the grocery shelf. This weekend, on April 14th, we invite you to come to ‘Inspired Saturday’. 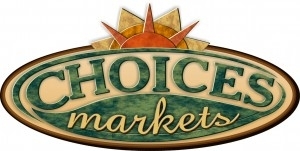 Each of the seven Choices Markets in BC will feature an InspireHealth information table. Come along to sampledelicious offerings and pick up the Inspired Shopping list that features recommended foods, supplements, and health tips.This could be the first step in your journey to a healthier and happier lifestyle. Throughout the month we will also be hosting a number of public cancer prevention talks. If you are interested in learning more about the importance of a healthy lifestyle in relation to cancer prevention, we invite you to attend one of our talks. Choices Markets White Rock on April 19. These seminars are open to everyone, so please pass this information on to your friends and family members who you feel may be interested in attending. Each seminar begins at 7pm. Pre-registeration is required for the talk in InspireHealth Vancouver on April 18th and there is a cost of $10 at the door as this is a fundraiser for InspireHealth. To register, please call 604-736-0009. This entry was posted in Uncategorized and tagged April, cancer, Cancer Month, Cancer Prevention, Choices Markets, Inspired Saturday, nutrition, prevention, Public Seminars. Bookmark the permalink.